A few weeks ago, my eight-year-old son asked when he would get his own smartphone. Given that he is making his way through Lower School, I feel I have a few years to go before making a final decision. 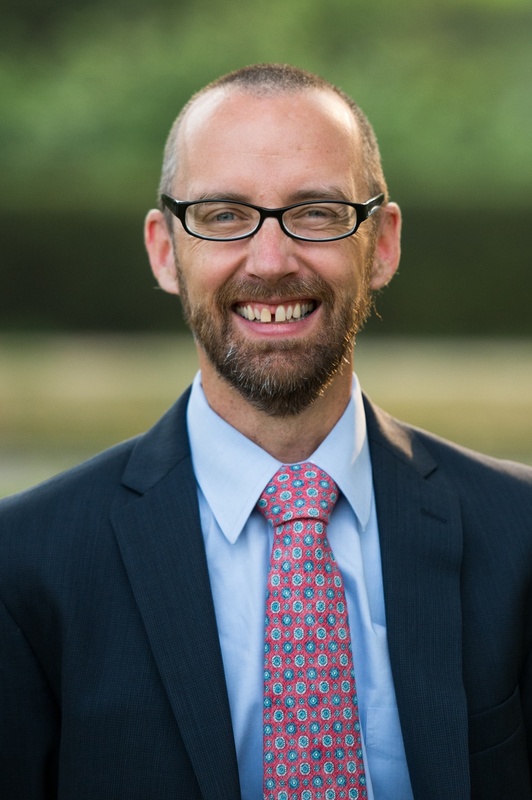 As the Head of Shipley’s Middle School, I see families and students having a hard time with not only determining the appropriate age to give their children smartphones but also how to manage their children’s time on their smart devices to maintain a developmentally-appropriate balance. What we are now seeing is that “later is better.” If your child needs a phone so that you can contact them or they can call you in an emergency, then a flip phone might be the best thing you can get them. Dr. Jean Twenge, a professor of psychology and author of “iGen: Why Today’s Super-Connected Kids Are Growing Up Less Rebellious, More Tolerant, Less Happy--and Completely Unprepared for Adulthood,” notes that those born after 1995 are “much more likely to experience mental-health issues than their millennial predecessors.” Twenge attributes the change to the adoption of smartphones. We know from discussions with our students that they do spend large amounts of time using social media platforms such as Snapchat, Instagram, and others. Studies have shown that some children spend as much as six hours in front of a screen each day (not including homework). FOMO – or the fear of missing out – is a key reason. Children want to be involved in everything. They want to know what's going on with their friends. Using social media is something students feel they have to do because they don't want to miss out, but some don’t actually enjoy it. And that's a really interesting phenomenon that there's a group of teenagers out there who feel they're compelled to do it, but don't really enjoy it. Too much screen time also creates a heightened sense of anxiety for many middle schoolers. Some feel anxious if they aren’t tagged in a photo and fall into a mind trap, wondering if the person who left them out doesn’t like them anymore, or if they did something wrong. There’s also an ongoing need to put your best face forward on the screens, hoping for as many likes and comments as their friends’ posts. Looking polished all the time puts a lot of pressure on children. Keeping up with social media seems exhausting. And for some children, the lack of sleep is evident. They’re checking their phones throughout the night to curb the fear of missing out or they can’t sleep from the anxiety. Children participate in “digital sleepovers,” where they leave video chat on all night in their bedrooms. Social media platforms, especially Snapchat, encourage “streaks,” sending messages back and forth to a person for consecutive days. Imagine the effort it takes to keep up with 15 or 20 different streaks for weeks or even months. Most importantly, determining and enforcing the appropriate amount of screen time for children has to be a partnership; a mutually agreed upon expectation for the family. Without that key element, there may be conflicts. It’s also important for children to learn what it’s like to be alone and to explore other hobbies and interests. Curfew: Set a curfew for all devices to shut off. Those devices could have a box in the kitchen or other area and that's where they stay until the morning. Timers: Children often get distracted by their phones while doing homework. Setting a timer for 20 or 25 minutes allows children to focus on their homework. With focus, children will complete their assignments better, more quickly, and retain more information. Children also view having some screen time after completing work as a reward, a positive reinforcement. Visual Reminders: A visual reminder is a helpful way to follow the rules. If your family decides one hour of screen time per night, try putting six popsicle sticks in a jar, one for each ten-minute interval. Every ten minutes spent in front of the screen requires a stick to be removed from the jar. The child may decide to use them all at once or space it out over the course of the day. Turn Off Notifications: Turning off sound and visual notifications is an easy way to avoid distractions, ease anxiety, and improve quality of sleep. Encourage Face-to-Face Interaction: In-person interactions create conversations and allow for a better sense of understanding, empathy, and personal connection. 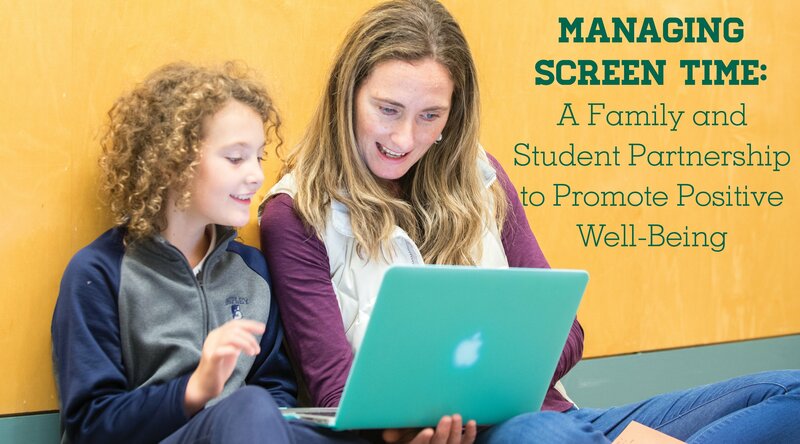 By determining and respecting screen-time guidelines as a family, you can promote positive well-being and help children thrive at school and in their social lives.